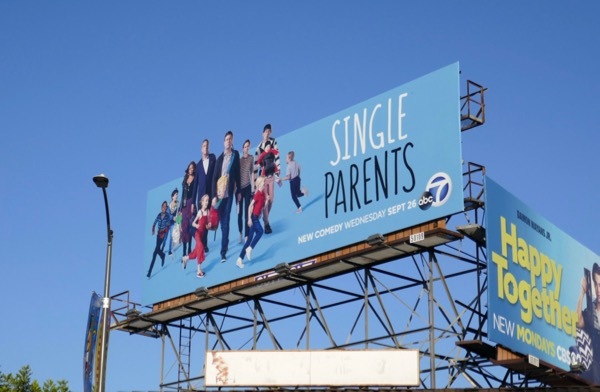 In ABC's new sitcom Single Parents, SNL's Taran Killam returns to the small screen to play 'Will Cooper', a single dad who's so focused on raising his daughter he's lost his own sense of self. 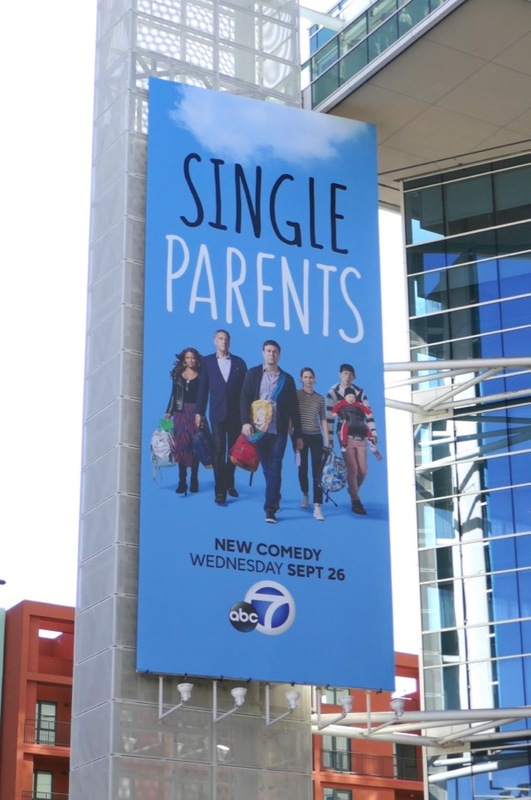 When his 7-year-old starts a new school he meets a group of fellow single parents, including Leighton Meester, Brad Garrett, Kimrie Lewis and Jake Choi, all juggling parenting and still managing to have life of their own. 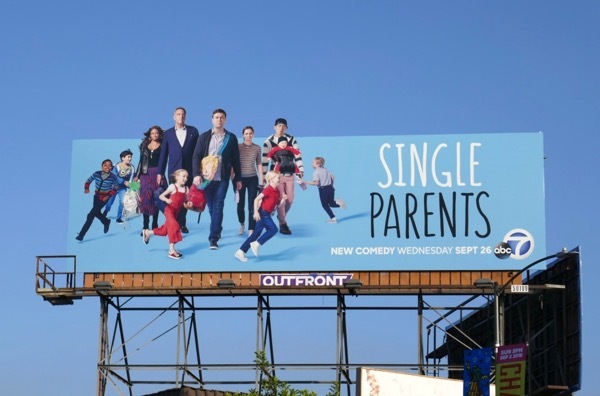 These eye-catching series launch billboards were spotted along Barham Boulevard and La Cienega Boulevard from September 7 to September 9, 2018. 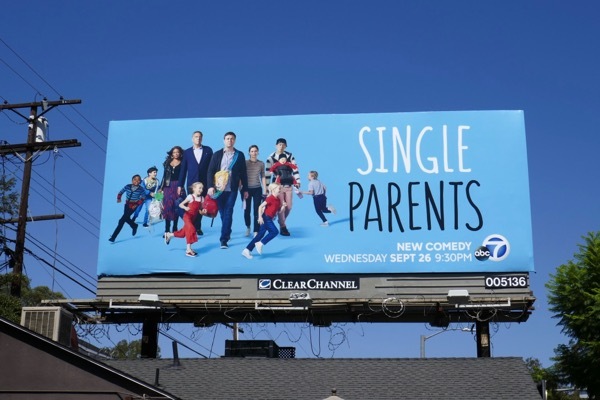 Can his new friendly support system help him put aside the princesses, mermaids and tea parties and give dating a try again? 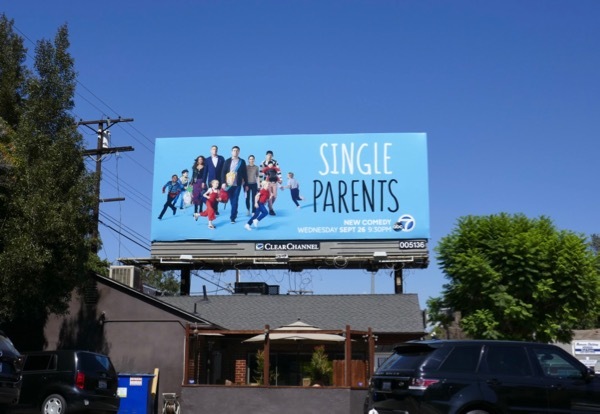 Daily Billboard is sure it'll be fun watching regardless of the results. 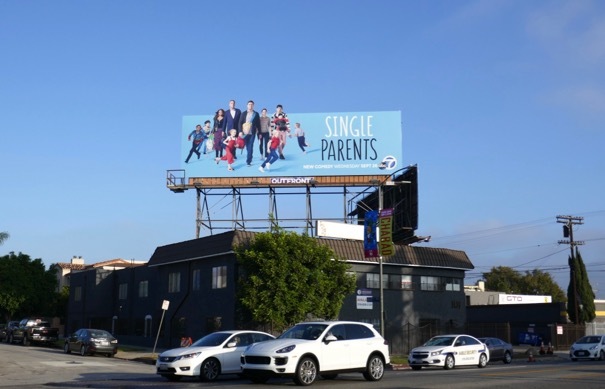 UPDATED: Here's also a vertical ad creative for the comedy with a few less children running about, spotted above Hollywood Boulevard on October 12, 2018.